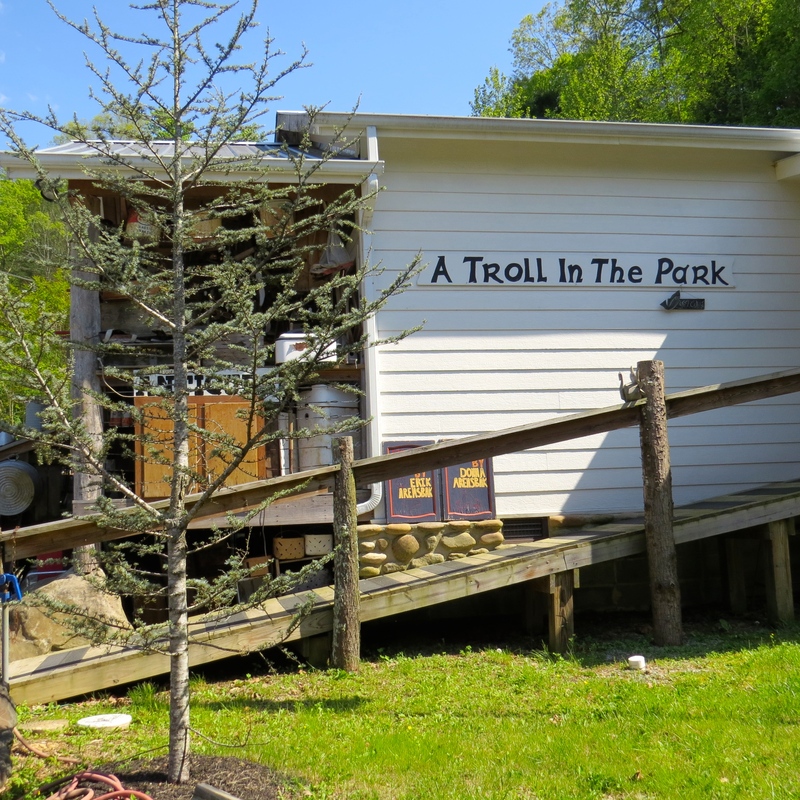 A Surprise Discovery in the Smokies ~ Trolls! The day did not begin with a search for trolls. Nothing, in fact, could have been further from my mind. Tom and I were on our way out for a day-hike with friends in the Smokies. As I drove, Tom read aloud from a book about the wildflowers that might be in bloom this time of year. And then somewhere near Gatlinburg, Tennessee, I happened to see the word “troll” on the side of an old building. I’m Danish-American. The thought of finding trolls in the Smokies made me even happier than finding wildflowers. 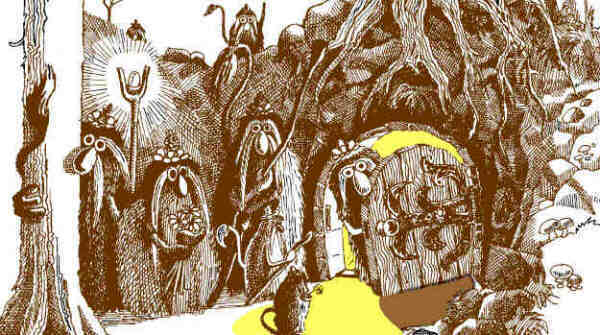 Like elves, fairies and gnomes, trolls like to hide themselves away in ancient mountains, rocks and caves. According to Norse mythology, they turn to stone if caught above ground during daylight hours. On second thought, perhaps the Great Smoky Mountains are just the right kind of habitat for them! Intrigued by the possibility, we kept a sharp eye out for them during our hike. But the sun was shining, and so of course they stayed well hidden. Later in the day, we passed back by the sign we’d seen – and this time, stopped the car and got out for a closer look. A jumble of antiques & collectibles spilled out onto the front porch, leading the way to what looked like a hoarder’s dream castle of stuff in the inner recesses. 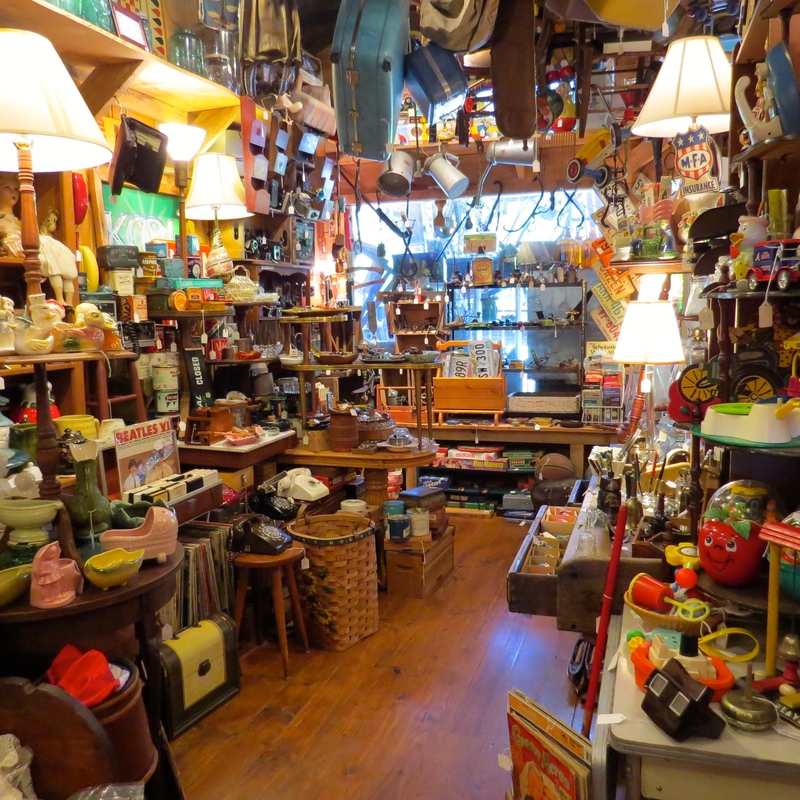 while I wandered through a vast collection of Americana kitsch inside. It wasn’t until I wandered out onto a back porch that I found them…. Big trolls and little trolls. Trolls from the floor to the rafters. Trolls on logs, trolls on shelves, trolls hanging from shelves. Trolls tucked between ferns and hiding behind pinecones. “We are!” Erik Arensbak said with a smile. “But trolls are Danish,” I said. “And so are we!” he said, further surprising me by speaking in Danish. His father, he told me, was an artist and Danish resistance fighter who emigrated to North America with his bride in 1949. Although they initially landed in Canada, they gradually moved further and further south, eventually purchasing land adjacent to Great Smokey Mountain National Park in 1969. 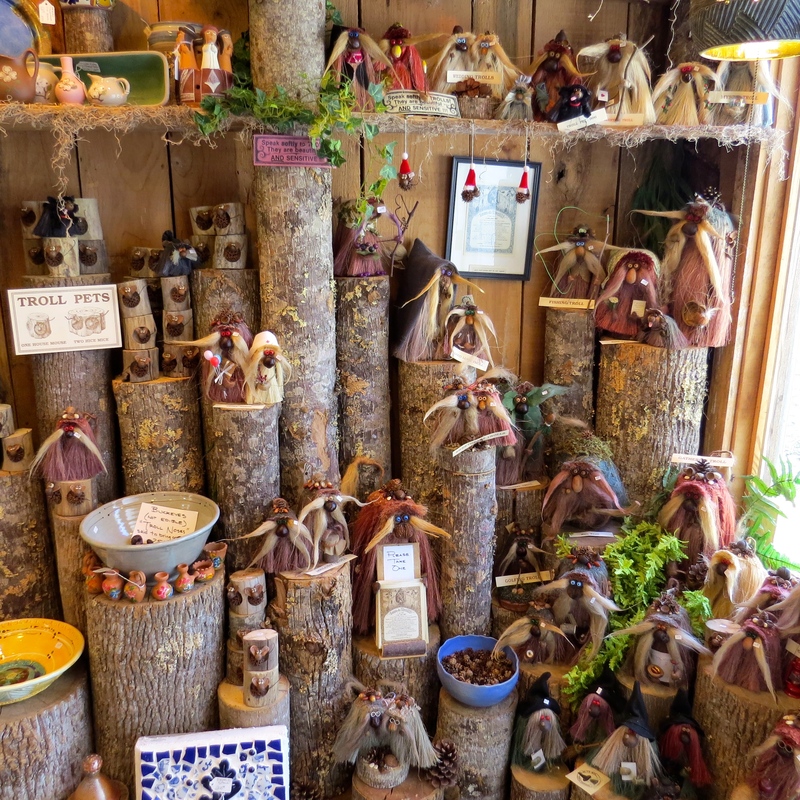 Known to some as “the hippies on the hill,” they began a business handcrafting trolls when the woodland creatures Ken Arensbak made to illustrate the Scandinavian tales he told his own three children so delighted friends and neighbors, they requested their own. I had to have one, too. I gave him the cash and he wrapped the troll in tissue and put it into a large paper bag. Then he picked up a pen and began fiercely jabbing the bag. For a brief, scary moment, I thought he was trying to kill my troll. “But of course,” he said with a smile, peering over his glasses at me. I say also very cool. I loved to visit this happening. Next Next post: Why Asheville?